directed by a health care practitioner. 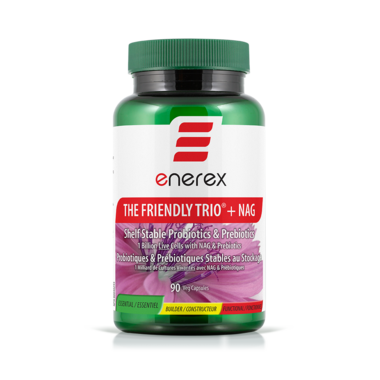 *FOS (Prebiotic) increases the volume of The Friendly Trio® in the digestive tract by up to 10 times. Discontinue use and consult a health care practitioner if symptoms of digestive upset (e.g. diarrhoea) occur, worsen, or persist beyond 3 days. Do not use if you have an immune-compromised condition (e.g. AIDS, lymphoma, patients undergoing long-term corticosteroid treatment). - Consult a health care practitioner prior to use if you are pregnant or breastfeeding. I bought this for my husband after a bout of anti biotics. He was also having difficulty with digestion and acid reflux. This product has been excellent. Its always a bit of a gamble to try a new product , but I have used other products by this company and had excellent results. A capsule with each meal supports digestion with ease. I am very relieved to have found this product and will continue to purchase.